SSO is pleased to offer AMA PRA Category 1 Credits™ for manuscript reviews of its official journal, the Annals of Surgical Oncology (ASO).ASO is the journal of choice of surgical oncologists worldwide regarding surgical oncology research and education. ASO promotes high-quality surgical oncology management by communicating advances in research and education that are relevant and valuable to the provision of contemporary multidisciplinary care for patients with cancer. The features that contribute most importantly to the quality of manuscript reviews for ASO include: adherence to reviewer guidelines, accuracy, specificity, and completeness, the usefulness of recommendations, internal consistency, tone and mindfulness of the needs of the surgical community. 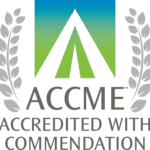 The Society of Surgical Oncology (SSO) is accredited by the Accreditation Council for Continuing Medical Education (ACCME) to provide continuing education for physicians. The Society of Surgical Oncology designates this manuscript review activity for a maximum of 3 AMA PRA Category 1 Credits™. Physicians should claim only the credit commensurate with the extent of their participation in the activity. Kelly McMasters, MD, Editor-in-Chief, Annals of Surgical Oncology – has disclosed no relevant financial relationships. Mark Roh, MD, Executive Editor, Annals of Surgical Oncology – has disclosed no relevant financial relationships. For questions please email cme@asoeditorial.org.